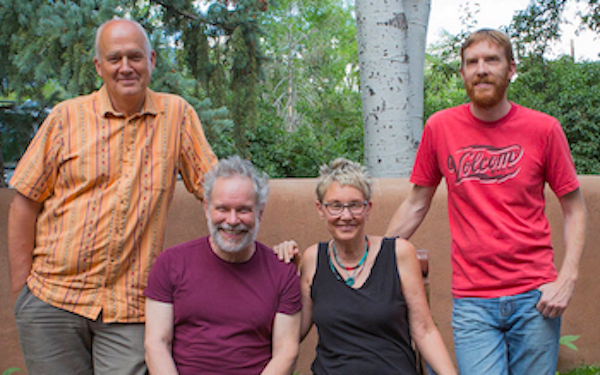 Join songwriters John Gorka, Don Richmond, and Eliza Gilkyson for their annual workshop at Casa de Musica, Eliza’s beautiful adobe hacienda located at the foot of Taos Mountain in the village of Arroyo Seco, just 15 minutes north of Taos, New Mexico. 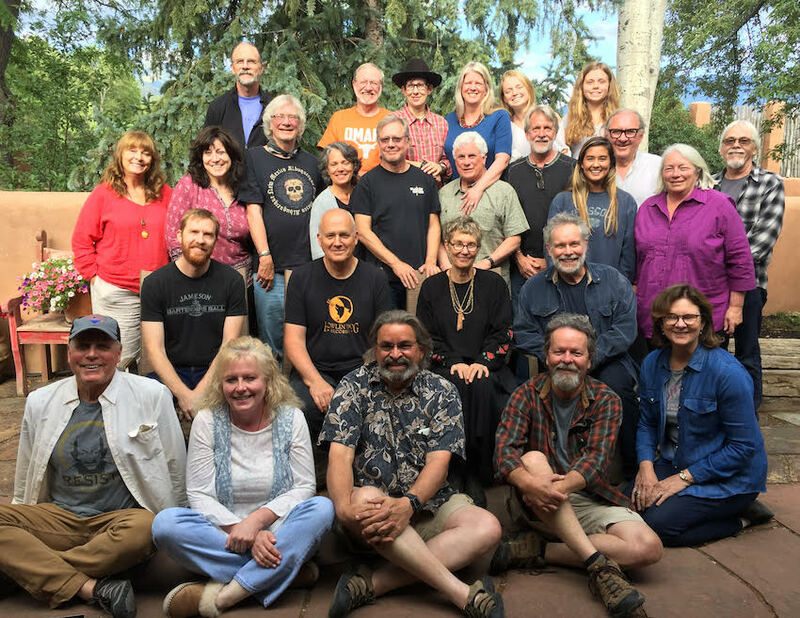 These three world-renowned artists bring years of experience and craftsmanship to their workshop, and they are excited to help you unlock your songwriting potential, regardless of your level of experience. We are also pleased that Cisco Ryder Gilliland will be joining us again for another adventure down the songwriting trail. Cisco brings over twenty years of drumming experience and has been recording and producing for over ten years. The Nocturne Diaries which he recorded and co-produced in 2015 was nominated for a Grammy. Eliza’s latest album, SECULARIA, was produced by Cisco and has received rave reviews. Cisco will be setting-up a small studio during the June workshop and will not only offer recording tips, tricks, and advice, but also the chance for students to record a song over the weekend. 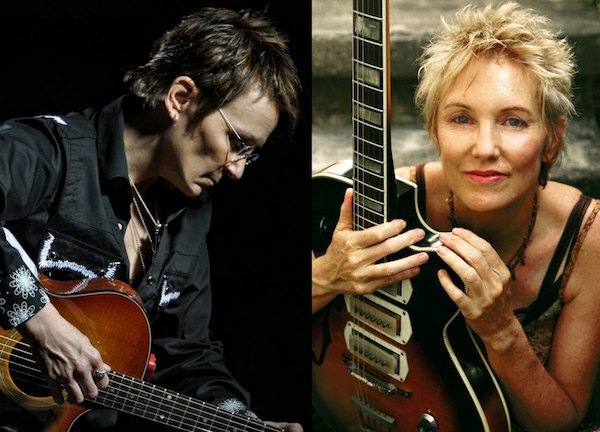 Come join Eliza Gilkyson and Mary Gauthier for their third joint songwriting workshop at Casa de Musica. 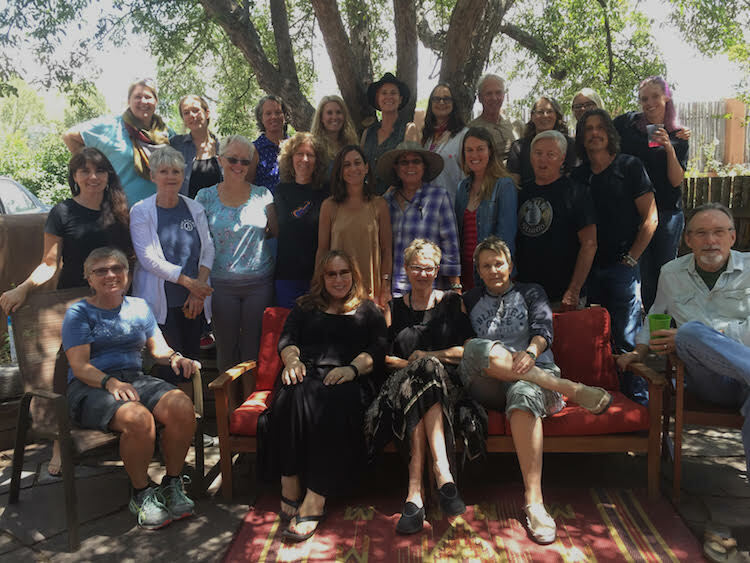 Mary and Eliza are pleased to announce that the director of the esteemed Yosemite Songwriter Retreat, Gail Dreifus, will join us again for the workshop, helping facilitate the flow of work and play throughout the weekend. Gail is a songwriter/performer herself and is going to run the evening song circle jam sessions. Our intention is to create a non-judgmental safe environment to facilitate exploring the mystery and the crafting of songwriting, working together to reach the depths of self- expression. The songwriting sessions are designed to inspire and instruct, to challenge and support, and to move you further along your songwriting path. The instructors will work in one-on-one and group sessions every day and into the evenings. 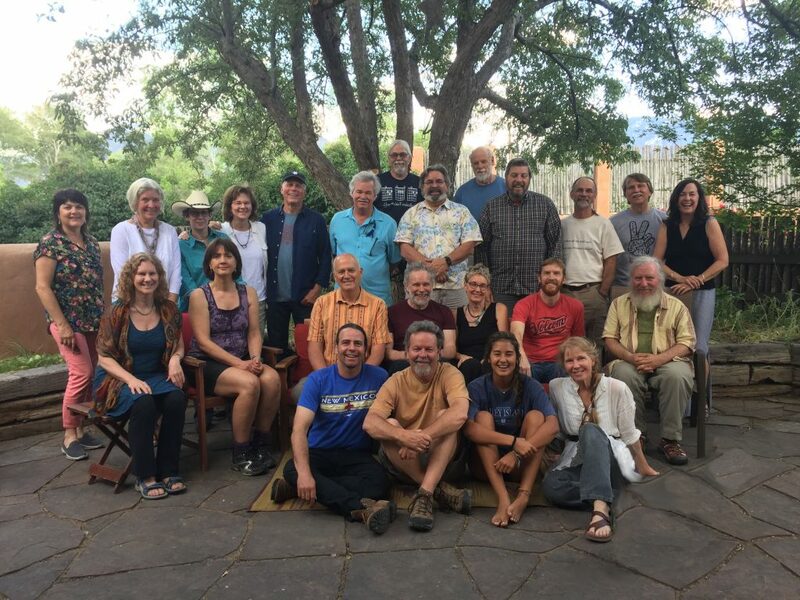 The days are organized around group gatherings, where all participants come together for discussion and song-sharing, then break down into smaller groupings and co-writing opportunities, as well as signing up for individual sessions with the instructors. A continental breakfast and catered lunch spread are provided on-site. Dietary restrictions are taken into consideration, just let us know ahead of time. You are on your own for dinner break, but evening sessions carry on into the night, with jamming around the fire-pit on the patio or in the spacious living area of Casa de Musica. Tuition for either workshop is $1000 per person, plus 7.3% NM tax. A $100 deposit will reserve your space and installment payments are accepted. To view a slideshow of the June 2017 workshop Click Here. Special thanks to Mr. Rick Griffin for documenting the magical 2017 weekend and sharing the slideshow with all. To begin the slideshow click the triangular “play” button to the left of the “Buy Photo” button. We only send you tour dates and occasional newsletters, promise!